This is a popular question that often arises for designers working with clients that want to use a specific design from their portfolio. Well, the answer to that question may seem difficult at first, but we will make it easy here for you to understand. So, can you use a stock photo you have already purchased with a license under your name for a client? Well, the easiest answer is that it depends on the license agreement. The basic rule of thumb is easy, which means you are not allowed to give permission, lend, or resell your royalty stock photos that you've downloaded. However, if you use these image in one of your clients designs or one of your own, you can use an image for a client's design without having to pay for a separate license, but if they want the photo, they will have to make a separate account and download it themselves. 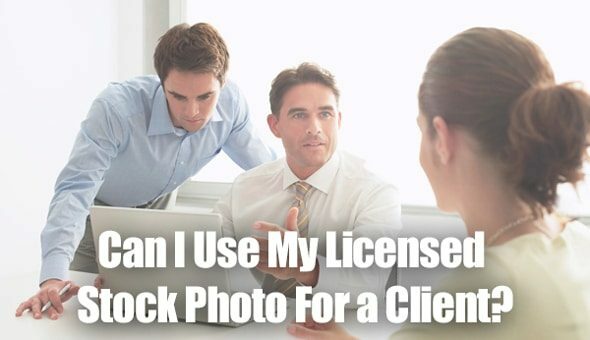 Almost all stock photo agencies offer some sort of standard license, but it's important to remember that each agency has different limitations and restrictions on how you can use images. Before using any of the images for a client, make sure you read each license agreement so that you know what you can and cannot do with the images. Stock agencies offer what is called an enhanced or extended license, or a standard license. An extended license is needed when a project with a stock photo is going to be used commercially, for example, to sell postcards or calendars. An extended license is for larger projects, especially ones that are being sold to the clients or your customers. 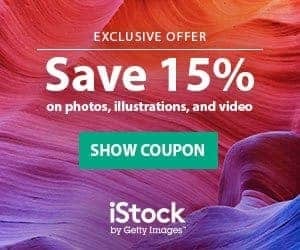 Stock Photo Secrets' offers both standard and extended licenses, and currently has a membership deal that gives you 200 XXL photos for $99. Here's our license comparison table that will show you usages and any restrictions for our standard or extended licenses. An easy way to understand image licenses is to know to know that license holder, which could be you or client, is only allowed to use the image for their project, i.e., it is non-transferable under a standard license and can only be used by the license holder. So what this means is that the buyer holds the royalty-free license for themselves and can use it in their projects or client projects, but designers must purchase a separate license (or have their client buy the image) in order to use it for a separate project. It’s really that easy! When you look at most terms of services/license agreements for stock agencies you will see pretty much the same thing: the license holder can use the images they paid for on multiple projects. If you don't own a license, it's best for a client to set up an account to buy the image themselves. Depending on what your client needs the image for, a brochure, a web page, marketing materials, then a standard license will probably work fine. But if your client is using it to print a million t-shirts with the image on it to sell, you are going to need an extended license. Or if a designer is selling a design template with stock photos, they would have to purchase an extended license to resell it. All stock photo agencies come with a standard license agreement for their images. A standard license is the most common license given, but it is different for ever stock photo agency you will use. Some will have more restrictions than others, while our 99club offers more than a standard license usually does. Learn more about our 99club membership, which grants you more licensing options for royalty free stock photos than any other agency. An enhanced image license is more for the commercial side of image licensing. It gives the purchaser more right in a commercial sense, especially geared to those who want to resell or distribute different products. An enhanced license grants more leeway when it comes to using the image for large-scale projects, especially those that are being used to make money. As stated above, the license holder (licensor) may use a licensed image specifically for their project/s. The company you're working with may not want to deal with getting an account set up, but they will have to because you cannot buy a license for an image they want personally. To make it more attractive for them to buy the image, you can reframe it in a way that it allows them to be more part of the process and decision making. Once they have acquired a license, you are free to work on the project without having to worry about too much, especially if you read the license agreement beforehand and you’ve determined that the project is covered for your client’s needs. If you have any doubts, all stock photo agencies can be contacted and asked more specific questions about your projects and image usage. It is also a great way to see if it will be covered under the standard or enhanced/extended license agreement, in order to avoid any legal issues. When you purchase a royalty free stock photo you’re purchasing a non-exclusive usage. Anyone who searches the same stock agency can download, pay for, and use that same photo. This has caused issues for some companies where a competitor used the same image in their marketing materials. Conduct a deeper stock photo search with additional keywords. Many people put in one word to conduct their search and use a photo that is found on the first two pages. If 100,000 people use the keyword ‘boat’ to find a stock photo, the likelihood of people using the same photo is quite high. If you search using ‘big, blue, motorized, lake boat’ the search result in less popular photos but photos that are still of great quality and fit your needs. Purchase a Rights Managed or royalty free exclusive license to ensure that you are the only one who has the right to use that photo. This may be outside of the budget for a design, but a serious client may decide that exclusivity is what they would prefer. 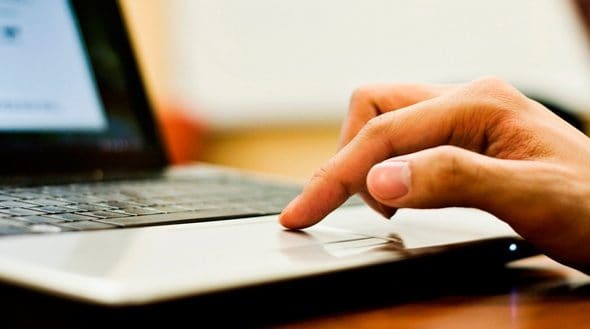 Conduct a google image search to see if the photo comes up on the internet. If the image you want to buy comes up a lot, trying looking for a similar photo. Stock photo agency’s license agreements are never the same, but it’s safe to say that they generally allow only one user to have rights to an image, making it non-transferrable to other people, clients, family, friends, etc. 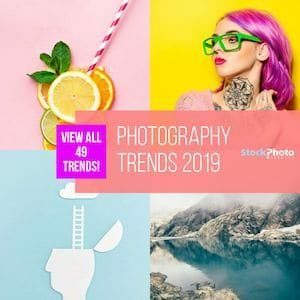 There are tens of millions of stock photos, vectors, illustrations, video, and other kinds of stock available on the internet. It is good to know what you can and cannot do with these images before you find yourself in legal hot water, so always make sure to read the license agreement, whether it’s standard or enhanced/extended license! Click here to buy a membership to 99club, which gives you 200 XXL images for $99, and the most flexible and affordable licensing you can find anywhere. Here’s a reminder about stock photos you can never, ever, do: the image rights are non-transferable, meaning that you can't resell them or allow someone else to use them, or give them away ever! The license holder is the only person with permission. If someone different wants permission, they will have to buy a license for themselves. Read about Royalty free images and photo searches to learn more. Can somebody tell me if I can purchase an image from an online photo supplier and use it for a brochure? Sure you can. Do you have any more questions? Send us a message through the contact form. You wrote “cannot be used for two competing projects. Royalty free stock photo agreements state very clearly that a stock photo can be used in multiple formats in one project” – it is not clearly at all I read shutterstock licence and reach opposite conclusion. Second thing is that on other your page you wrote “Royalty Free means that the purchaser can use the photo multiple times on multiple projects” which one is then, cannot or can use one photo on multiple project ?